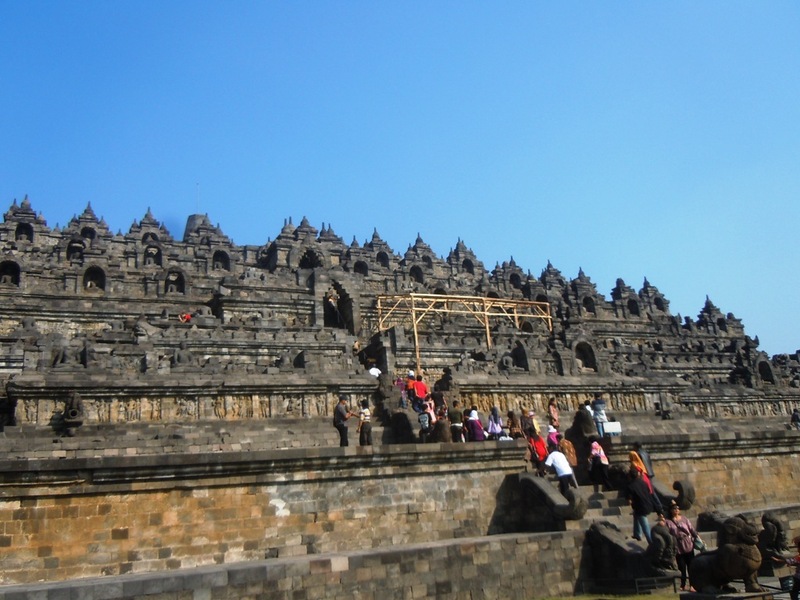 After having breakfast in the hotel, we will drive to Borobudur Temple, the biggest Buddhist ation Temple in the world and doing the city tour by traditional transportation called Andong. 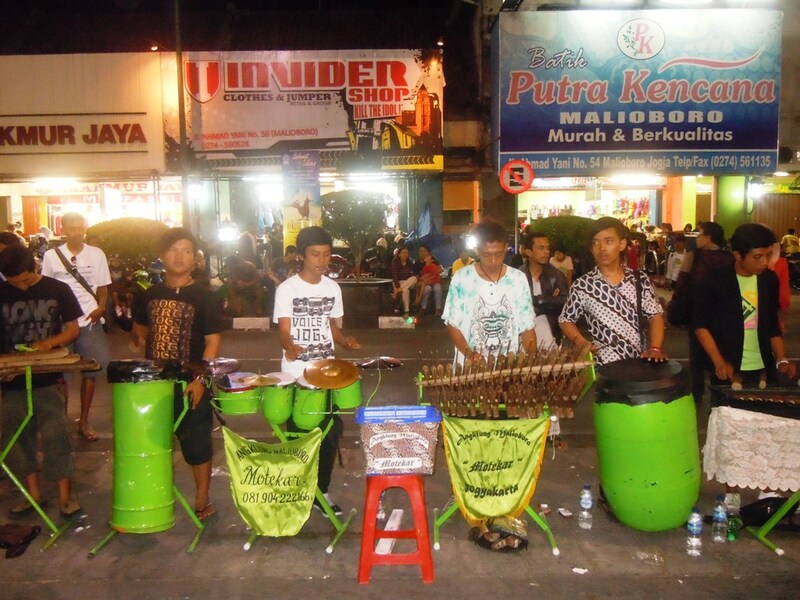 By using Andong we will visit several places such as Keraton Kesultanan Yogya (Sultan Palace), Batik and Silver Central Industry and traditional market. 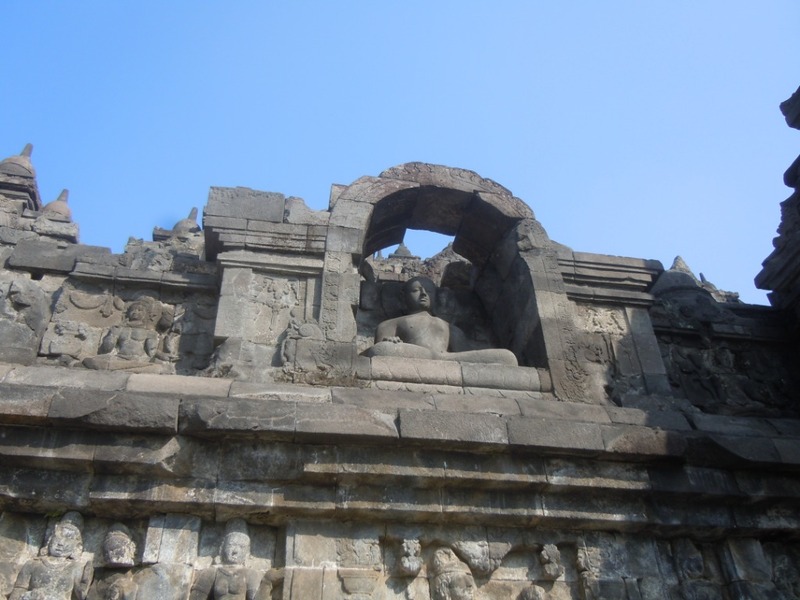 First stop was Borobudur temple. 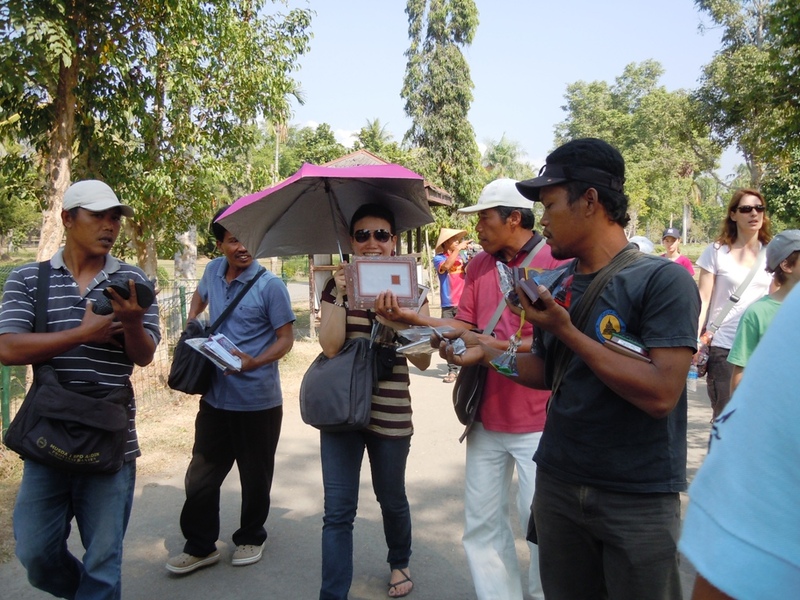 As we arrive at the entrance, I already noticed the stretch of souvenir shops and vendors waiting for tourists. We had to walk further more to get to the visitor center. Surprisingly, inside the establishment, there’s free drinks again, water, tea, coffee. We then met our guide to see this temple. The temple I only got to know from books when I was studying. Walk going to the temple from the visitor center was about 10minutes. Sun was already scorching hot but as I saw the temple from a far, OMG!! It was surreal! It was beautiful! 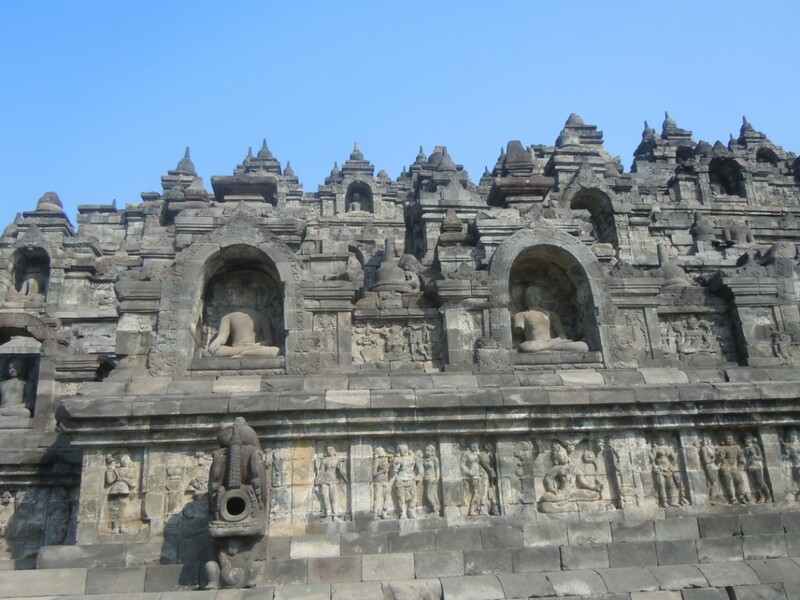 Borobudur was said to be built in eighth century and it’s listed as a UNESCO Heritage site. 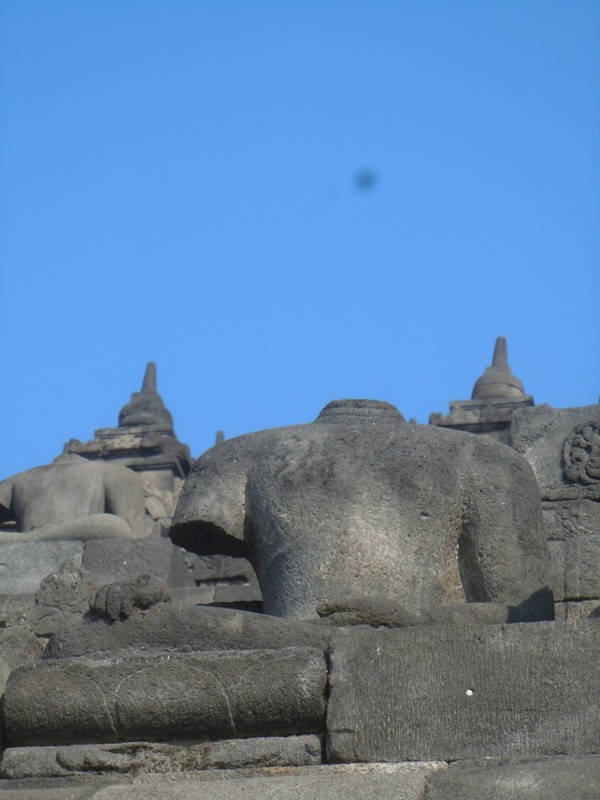 Borobudur, as searched, probably came from 2 words, Vihara and Beduhur which later became biara , meaning, a dormitory and budur meaning site upon a hill. The combination of these 2 words, brought about the name which means monastery upon a hill. 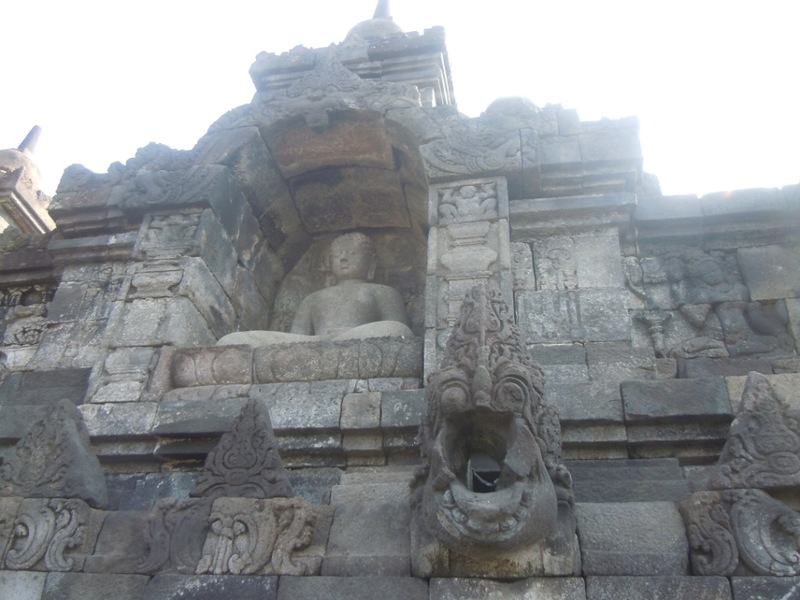 The entire temple was said to be shaped as a Buddhist stupa. Every level in the temple depicts levels of spirituality. 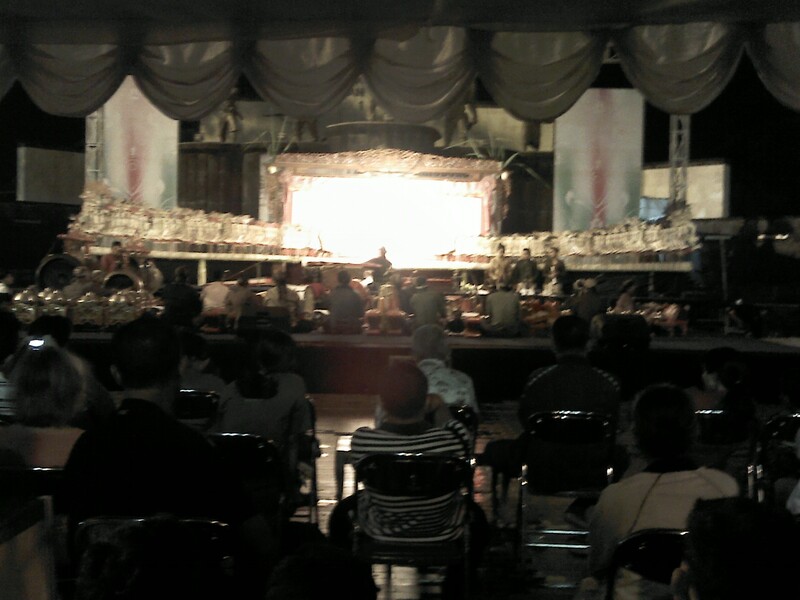 Each of the temple’s main levels represents a stage towards spiritual enlightenment. Lower levels’ carvings symbolizes earthly desires; middle levels reliefs and carvings were less as it symbolizes slowly learning to detach from earthly needs and top levels were simple and plain, with stupas as it symbolizes being completely detach from earthly desires, being able to be in the state of meditation and being “formless”. 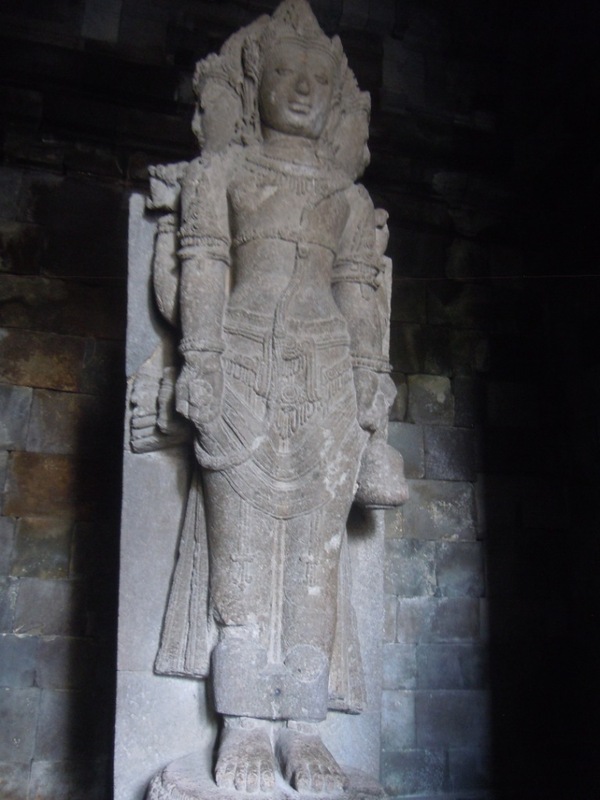 Interesting thing upon listening to the guide, he mentioned that Queen Maya gave birth to Sidharta through her armpit??! 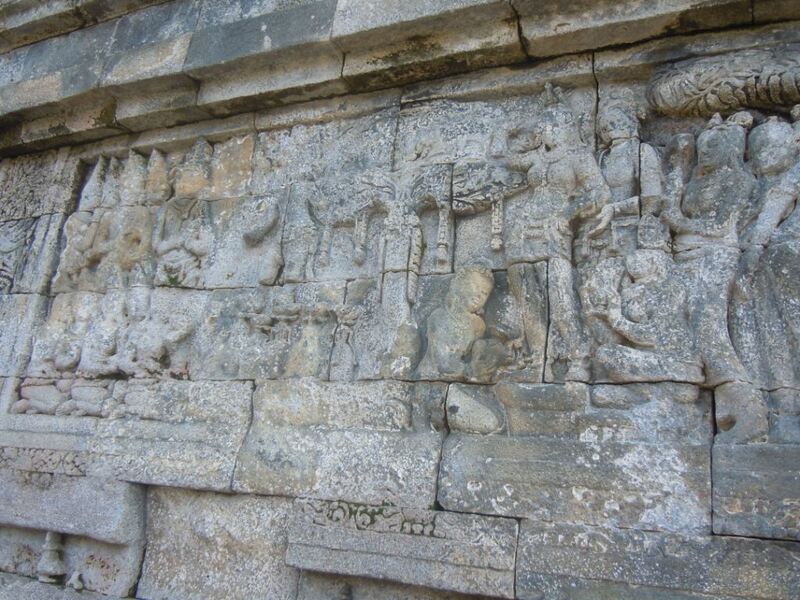 Carvings surrounding the temple depict different stories about Sidharta’s life before becoming a Buddha. Sadly, its apparent that some of the Buddhas have broken body parts and had lost heads due to two suspected reasons, natural disasters like earthquake or erosion and sadly, vandalism by devotees of other religions. It was mid morning when we went there and the sun was scorching hot. It was crowded and we needed to head to our next destination because at about 12pm, this Czech president would visit Borobudur as well. Walking back to the car was terrible because all the vendors were hard-selling their commodities to us despite a million times we said ‘no’. They would all crowd into one tourist and sell. It was scary and I guess, that’s the only thing I didn’t like about Borodubur. Traffic was bad as usual, thus heading to Prambanan temple took us about 2hrs (if I remember it correctly, coz I was half awake during the drive). We had lunch before going to this Hindu Temple. Our guide told us that to distinguish if a temple is Buddhist or Hindu from a far, we have to look at the temple’s shape. If it’s wide and horizontally built, then most-likely its Buddhist, If it’s tall and vertical, then its Hindu. From afar I could already see the temples high and proudly standing. Another OMG moment. 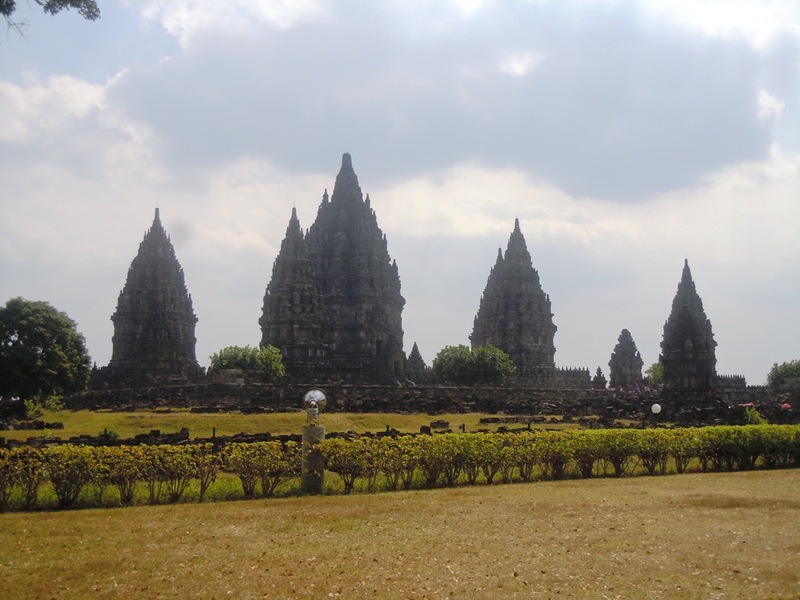 Built a little later than Borobudur at 9th century, another UNESCO heritage listed site, Prambanan temple is the largest temple compound dedicated to Shiva in Indonesia. Upon entering, the guide there asked us; would you rather know the truth and exist or be formless and non-existent? I guess he just wanted to say that Hinduism believes on one’s true-self being eternal. There were three main temples, which was said to be dedicated to Shiva, Visnu, and Brahma The other three shrine in front of three main temples were dedicated to vehicle (vahana) of the respective gods – the bull Nandi for Shiva, the sacred swan Hamsa for Brahma, and Vishnu's Eagle Garuda. Shiva’s temple was closed for viewing that day due to renovation. 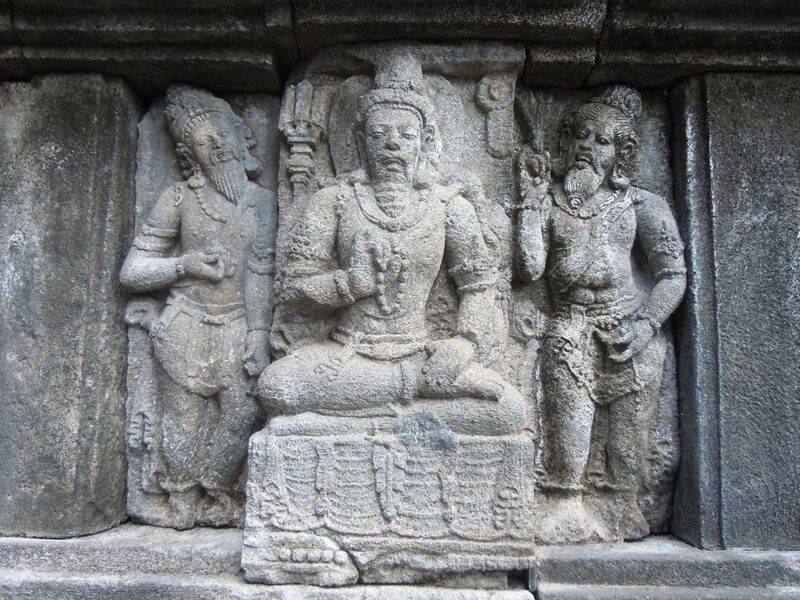 Reliefs from the temples also depict steps to nirvana. Lower levels’ carvings symbolize earthly desires and emotions shown as people with teeth exposed and with ornaments and accessories. Carvings at the top layers were Gods on their ‘Diyana’ (not sure of the spelling, that’s how I heard it though) or two feet close together symbolizing peace and meditative position. 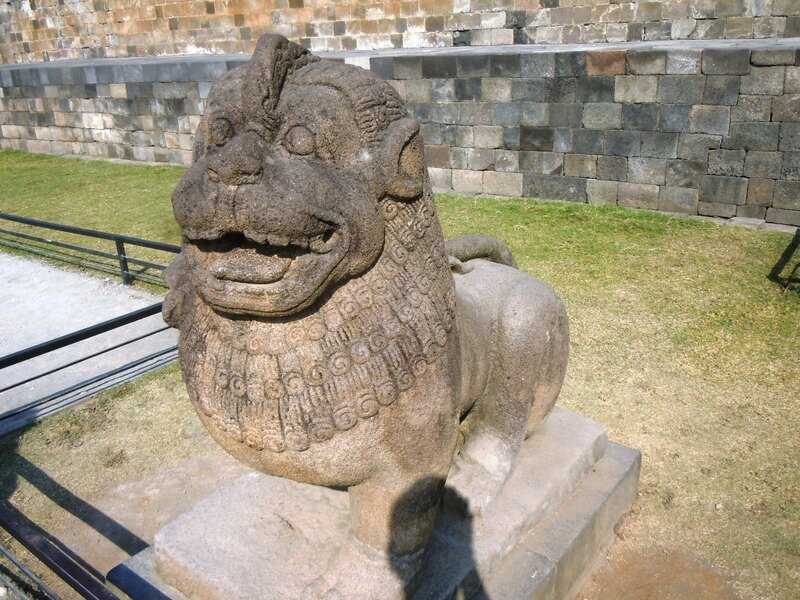 Anyway, I found all these temples very interesting that I planned that when I get back and have time, I’d read more about Buddhism and Hinduism! After Prambanan, we headed to a batik factory where they taught us how to make authentic batik. 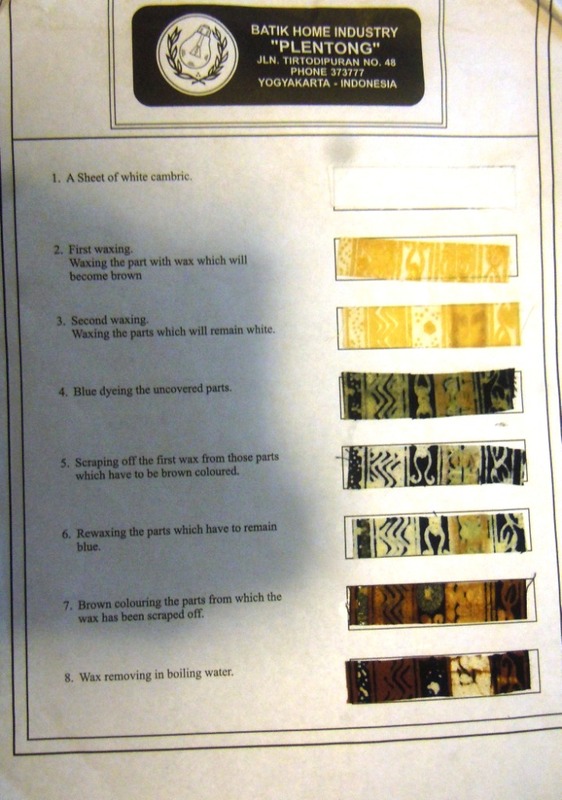 Watching and listening about it made me appreciate batik more. It was very very difficult to make. 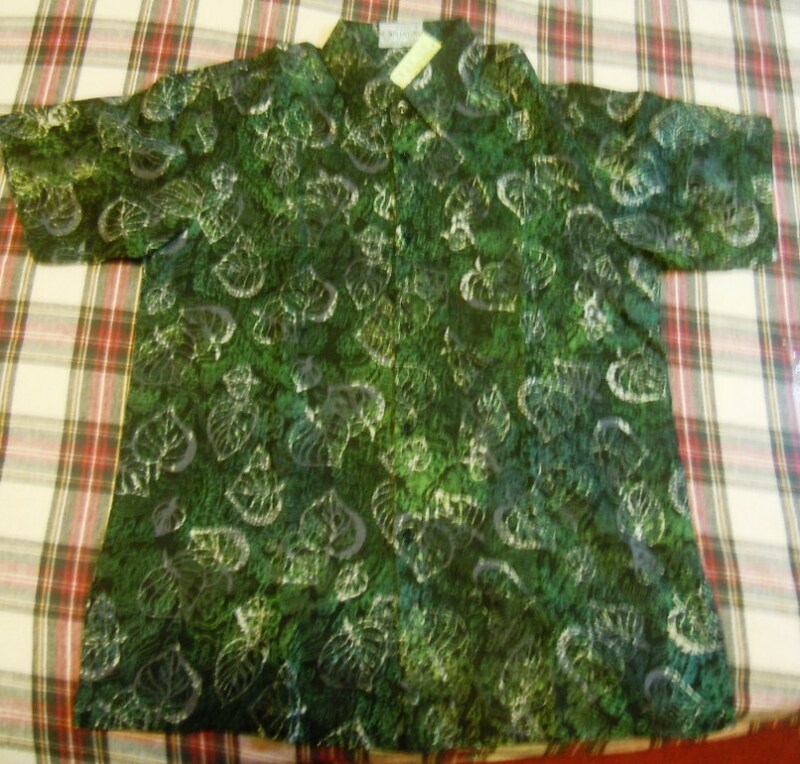 I brought one batik polo shirt for my dad and went home. 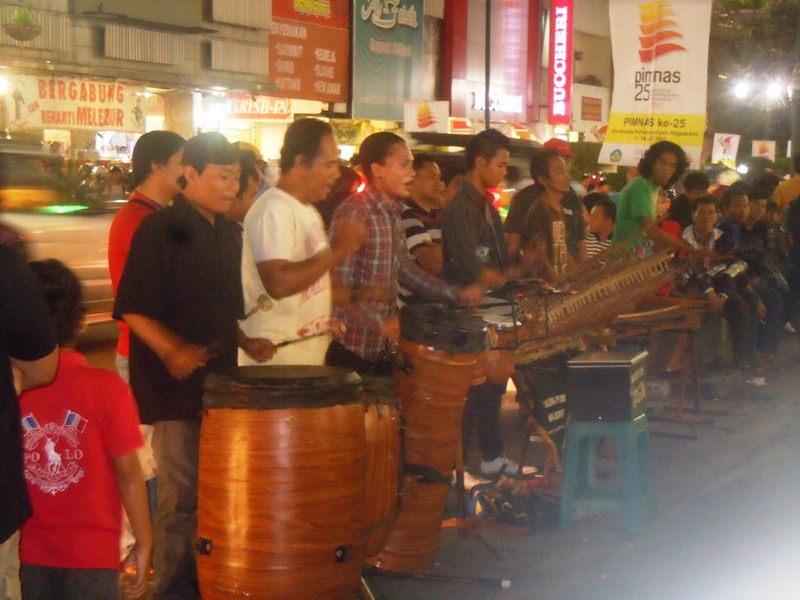 We planned to have dinner at Malioboro St. again. We ate at this ‘Warung’ (stall) where we ate seated on the floor. I just had fried cockles and rice. 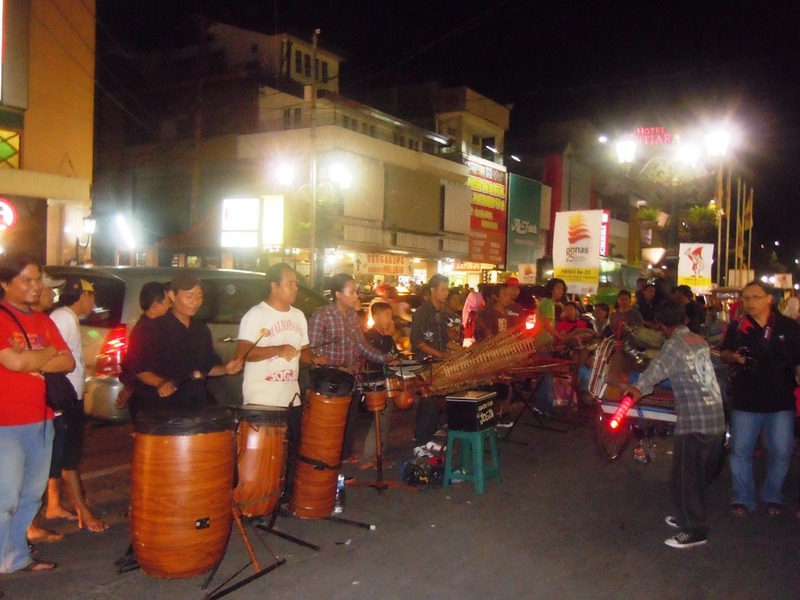 After dinner, we decided to take a walk and tonight, the street was festive, there were a number of bands playing on the street. People were eagerly watching and few were dancing. I guess it has something to do with ‘Malioboro Music Festival’. Yani decided to get a temporary tattoo while I decided to watch “wayang kulit”, which I honestly didn’t understand and eat Ronde. Ronde is a hot dessert with sticky potato flour, nuts, some jelly, bread and ginger tea. 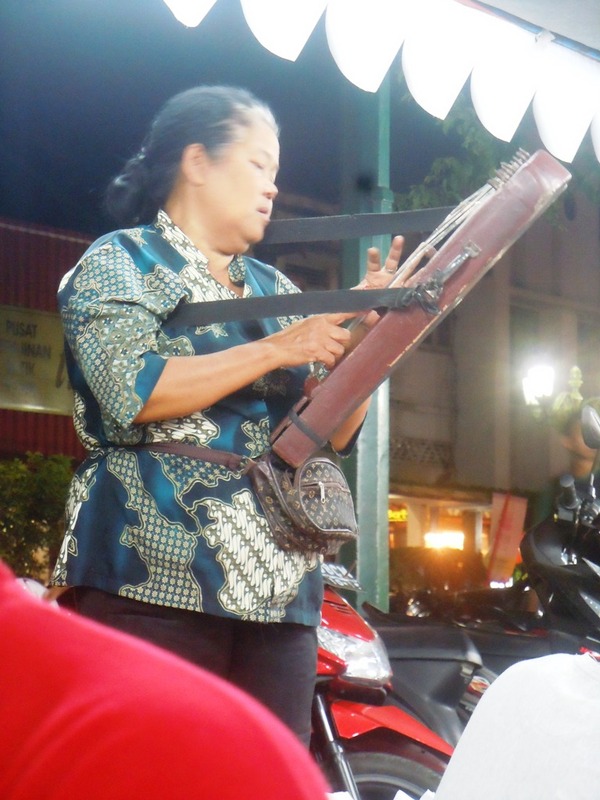 In every corner of Malioboro street some vendor’s selling it. If I had more time I would have tried all the street food. 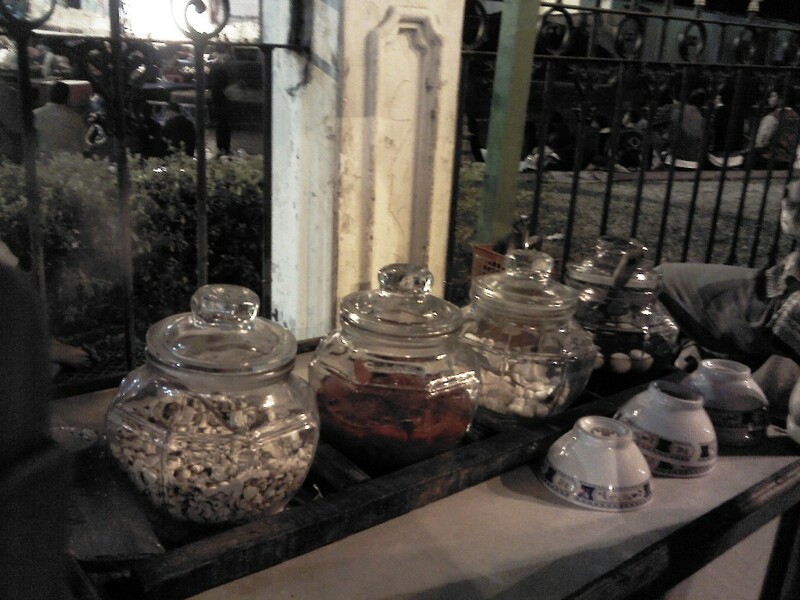 There are abundant types of street food along this street and they all looked yummy and interesting. This entry was posted in Uncategorized and tagged adventures, alone but not lonely, temples, travel. Bookmark the permalink.